World War I represents one of the most studied, yet least understood, systemic conflicts in modern history. At the time, it was a major power war that was largely unexpected. 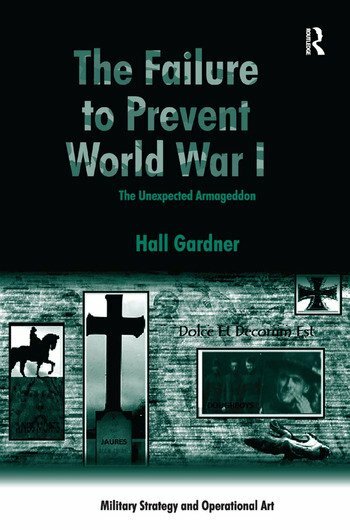 This book refines and expands points made in the author’s earlier work on the failure to prevent World War I. It provides an alternative viewpoint to the thesis of Christopher Clark, Fritz Fischer, Paul Kennedy, among others, as to the war's long-term origins. By starting its analysis with the causes and consequences of the 1870-71 Franco-Prussian War and the German annexation of Alsace-Lorraine, the study systematically explores the key geostrategic, political-economic and socio-cultural-ideological disputes between France, Germany, Austria-Hungary, Italy, Russia, Japan, the United States and Great Britain, the nature of their foreign policy goals, alliance formations, arms rivalries, as well as the dynamics of the diplomatic process, so as to better explain the deeper roots of the 'Great War'. The book concludes with a discussion of the war's relevance and the diplomatic failure to forge a possible Anglo-German-French alliance, while pointing out how it took a second world war to realize Victor Hugo’s nineteenth-century vision of a United States of Europe-a vision now being challenged by financial crisis and Russia's annexation of Crimea. Hall Gardner is Professor and Chair of International and Comparative Politics at the American University of Paris. He received his PhD in 1987 at the Johns Hopkins Paul H. Nitze School of Advanced International Studies (SAIS), Washington DC. He is a member of the World Association of International Studies, Stanford University and is on the Advisory Boards of the New Policy Forum (Mikhail Gorbachev); Cicero Foundation: Paris/ Maastricht; Journal, Géostratégiques; Online Bibliography, Oxford University Press.